Learning Trading Strategies Using Candlesticks To Be Accurate. The types of candlesticks that appear on trading using the chart candle can be used as indicators that are quite accurate. How to analyze trading movements using candle patterns requires understanding of the shape of the candle and its meaning to be more accurate. With so can read the direction of the trend that will occur so that the most profitable candlestick pattern is created. 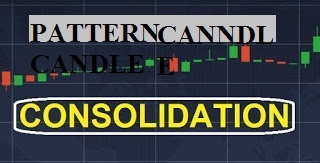 On this occasion I will discuss the Consolidation Candlestick Pattern which can be interpreted as an alarm not to trade until the consolidation period ends. 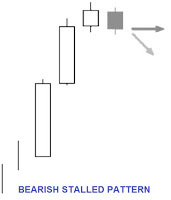 Candlestick Consolidation Pattern is a candlestick pattern that shows the trend is over and then the market will move sideways. 1. While downtrend is a bearish candle with a long body. 2. The next session opens higher than close and closes lower than the first open candle so that it forms inside day. 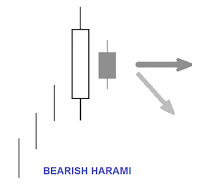 When a downtrend is formed a bearish candle with a long body indicates the strength of the seller. The next session that moves in the opposite direction tells that the seller starts taking control in anticipation of consolidation or reversal. · This pattern requires confirmation from the next session, namely the price of flat moves. 1. While uptrend is a bullish candle with a long body. 2. The next session opens higher than the first close candle and closes at or near the session open so that a doji is formed. 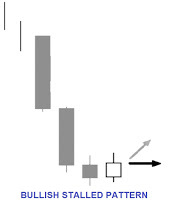 When uptrend a bullish candle is formed with a long body indicating the strength of the buyer. The next session was able to make new highs but closed close or at the open session so that the formed doji showed doubts about market participants that the trend will continue. 1. While there is a bearish candle uptrend with a long body. 2. 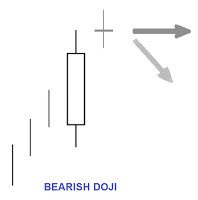 The next session opens lower than the first close candle and closes at or near the session open so that a doji is formed. The next session was able to make a new low but closed close or at the open session so that the formed doji showed doubts about market participants that the trend will continue. 2. 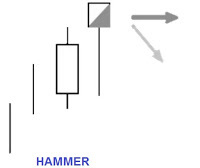 The next session occurs a gap up and candle in the form of hanging man which can be either bearish or bullish candle. During an uptrend, a gap up is an indication that the uptrend will continue. But the long shadow below is an indication of an attempt to reversal. But close close to the open gives an indication of conflict between buyers and sellers. · Usually followed by decreasing volume and volatility. · This pattern must be followed by confirmation, that is, the next session moves flat. 2. 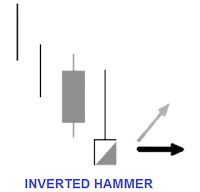 The next session occurs with a gap down and a candle in the form of an inverted hammer which can be either bearish or bullish candle. During a downtrend, a gap down is an indication that the downtrend will continue. But the long shadow above is an indication of an attempt to reversal. 2. The next session takes place again with a bullish candle with a long body but shorter than the first candle. 3. The third session is a bullish candle with a short body. 4. The next session is a bearish candle with a short body that opens slightly below the third close candle and closes slightly below the previous open candle. When the uptrend and body candle get smaller, the market starts to lose momentum. When two candles appear with a short body in sequence and a bullish candle changes with the bearish candle the information begins the consolidation period. 2. The next session occurs again with a bearish candle with a long body but shorter than the first candle. 3. The third session is a bearish candle with a short body. 4. The next session is a bullish candle with a short body that opens slightly above the third close candle and closes slightly above the previous open candle. When the downtrend and the body candle gets smaller, the market starts to lose momentum. When two candles appear with a short body in a sequence and a bearish candle changes with a bullish candle the information starts the consolidation period. That is the kind of consolidated candlestick pattern that indicates the occurrence of sideways, which is the wrong time to trade. 0 Response to "How to Learn to Read Candlestick Trends Will Sideways Pattern CONSOLIDATION"